Disclaimer: In-store prices may vary from online prices. This item is repackaged and sold in a clear bag. Multiples of the same bag size will be combined into one bag. Australian Grown Hemp Seed is a high source of energy, protein and essential Omega 3, 6 and 9 fatty acids. 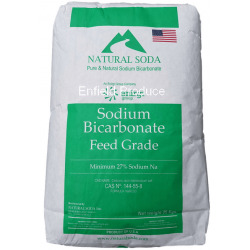 Great for breeding birds, chickens, racing birds or as a healthy supplement for pet birds. 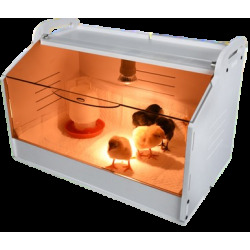 Great for chickens, finches, canaries, pigeons, budgies, and parrots etc. 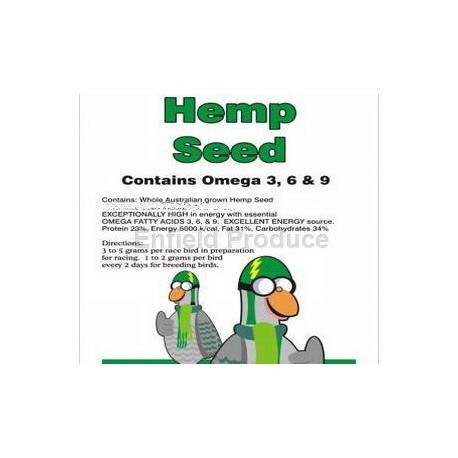 Hemp seed is also popular as freshwater fishing burley. An excellent energy source with Protein 23%, Energy 5000 k/cal, Fat 31%, Carbohydrates 34%. 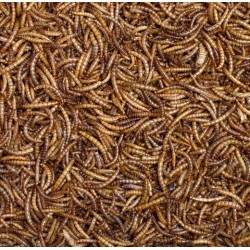 Hemp seed is also very popular as burley for freshwater fishing. Especially when soaked and cooked, the high oil content of hemp seed is very good at attracting trout and other fish. Click here to see a video on how to prepare the hemp seed for fishing. Recent feeding trials with chickens have confirmed that hemp seed is an excellent source of nutrition for laying hens (chooks), where the omega fatty acid profile in eggs was favourably influenced after feeding hemp seed meal (Silversides et al., 2002). This is in agreement with empirical observations over thousands of years in China and other Asiatic nations. Click Here for more information on Hemp Seed for Laying Hens. 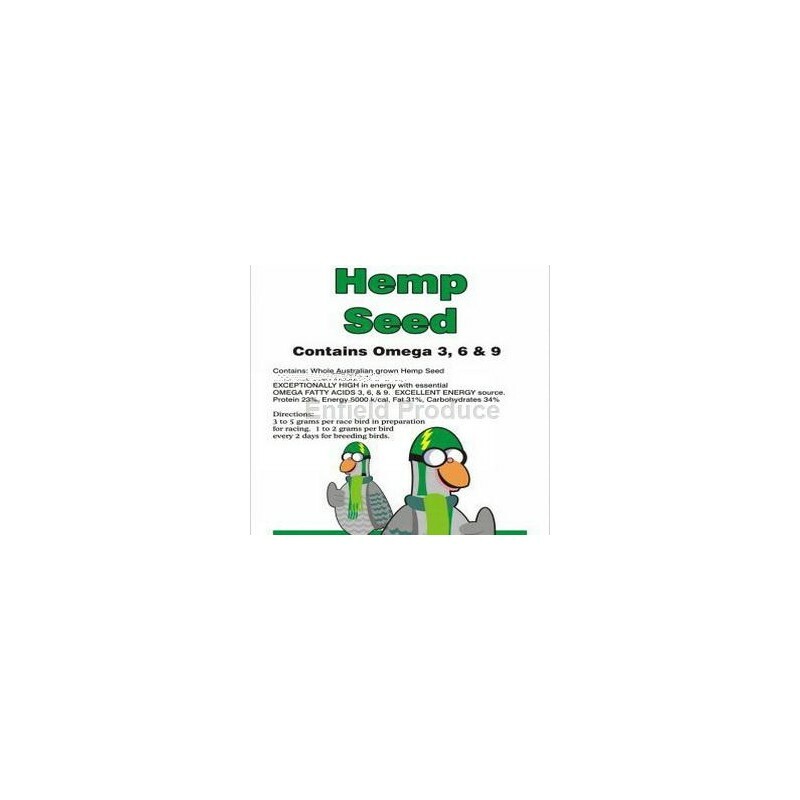 Click Here for more information on Hemp Seed for Birds. About Hemp: Hemp is not to be confused with Marijuana. While hemp looks very similar it has very low levels of THC (<1%) the intoxicating ingredient of marijuana which is usually between 4 to 24%. You could think of hemp as the equivalent of alcohol-free beer. It has all the healthy aspects of cannabis without the unhealthy intoxicating effects. Q. Is this hemp seed hulled or whole (unhulled)? A. The seed is whole hemp seed ie unhulled. Q. Is your hemp seed whole seed & can it be cooked so it can be used for fishing? A. Yes, it is whole seed and can be cooked for fishing. See the video link above for how to cook hemp seed. Q. Are you sure budgies will be able to crack open and eat hemp seed? A. Budgies can be reluctant to eat hemp seed and it often takes time for them to learn how to crack them open. However, once they learn they very much enjoy them. The Budgies at our store are fed hemp seed regularly and they have no problem eating them. 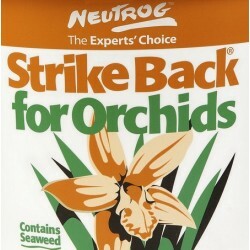 This stuff is like candy for the parrots, they love it. Great product, great service, but the price has skyrocketed. Enfield still the cheapest on line . My birds love their hemp seed but I will have to stop giving it now given the fact the price of hemp has now more than doubled in the space of a few months!!!!! Makes it hard on bird breeders as we don't use hemp for cosmetic or culinary purposes. Looking forward to a price drop as production increases in Australia. 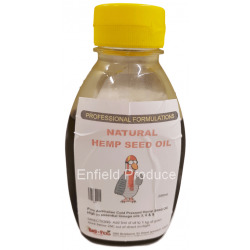 Natural Hemp Seed Oil is Pure Australian Cold Pressed Hemp Seed Oil. High in essential Omega Oils 3,6, & 9. 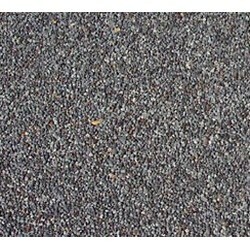 Poppy Seed is a highly sort after seed by professional breeders. The tiny seed of the opium poppy is used as a human food in breads and cakes but also as a supplement for small birds like finches, canaries and budgies. 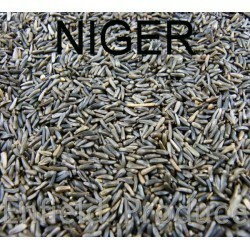 Niger Seed is rich in oil, easy to digest, high in energy and protein making it ideal for supplementing your canaries/finches diet and to help keep them in peaked condition or during times of high nutritional needs. 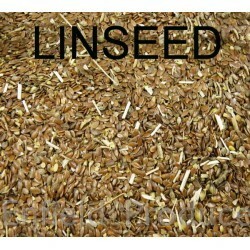 Linseed is a popular element of seed mixes especially canary seed, and is often given by breeders as supplement to help keep their birds in peak condition. An excellent supplement for laying poultry to help produce eggs that are rich in omega-3. 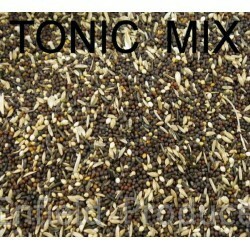 Tonic mix bird seed is a great seed mix that can be used for canaries & finches to supplement their diet, especially during breeding. 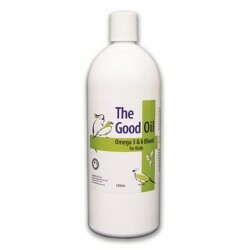 The Good Oil for Birds is an Omega-3 & 6 supplement for improve the health of birds and their eggs. Supplies the Omega-3 & 6 Essential Fatty Acids that are deficient in most seed mixes. Enhances breeding performance by assisting with egg production, chick growth & immunity. Contains fat soluble Vitamins including A, D3 & E.
NEW 25KG OPTION! 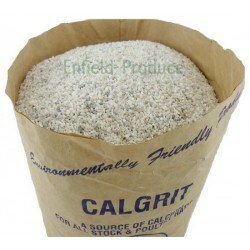 Calgrit is a natural mineral grit derived from calcium carbonate which is a great alternative to shell grit providing more calcium (for hard egg shells) and more essential minerals than regular grit. Also for freshwater turtle tanks. 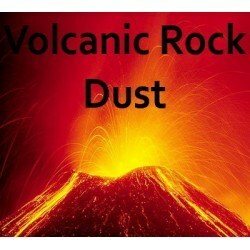 Volcanic Rock Dust (Trace Mineral Fertilizer) is great for mineralizing soils with Silica, Potassium, Phosphate, Magnesium, Iron, Nitrogen, Zinc and many more. 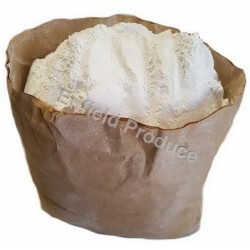 Helps soften soils and gives fruit and vegies better taste and nutrition.